So you think you have the winning strategy for forex trading. Have you tempered and tested your winning formula yet? What you do not know is that there things you must take note before fully placing money on your strategy. These are points tested and tried by those who have come before you. Understand the principles behind them and you may well be on your way to trading success. Think twice before day trading. So few get to be successful at day trading. Most experts firmly believe that it does not work, because the volatility on such a short term varies a lot. You will be better off with a long term trading ventures where chances of profit are dependable. Are you a fundamental or technical trader? Where does your strategy lay? It is hard to be both; combining the two paths and methodology are at times near impossible and at most difficult. It would be easier to start with a technical aspect of trading in your strategy. Not only would it take into account human psychology, but it will also be easier to work with. We all know forex trading needs and objective point of view. Nevertheless, when it comes with your personal strategy, it must fit with your assets, investments and plans. That is why it is difficult to rely on scientific theories alone. If there was truly a successful one, then why isn’t everybody a millionaire? The objective part of the equation should be the trading signals you need to use in determining your next move. Now you see that there is balance in the tempering of your strategy. You work in conjunction with your strategy. Are you both discipline din your tasks? Ego might get in the way of a successful and fair trade. What you think towards the market affects the design of your trading plan. Be fair and reasonable and you will profit, being over your head and thinking greedily will get you nowhere but down. Lastly, do you have absolute confidence with your unique plan? Testing and back testing with present parameters is essential to get that confidence. You may even want to start with a small amount first, testing your strategy with as little risk as possible. When it works, resist the urge to change it drastically. Do not over complicate your details. Hypothetical track records are unreliable. These kinds of track records are just keeping up and expecting the norm of currency track records. This is simply just too naïve. Playing it safe will not always make you safe. Forex trading is much more difficult than choosing which currency record is safer. In the end, you have to make money right? Not make sure bets and not losing, but end up not gaining anything either. Is your strategy designed to use stops conservatively? Stops are there to your advantage. Use them. Most people place them immediately after a trade. If you think hesitate a lot, you will end up taking more losses. 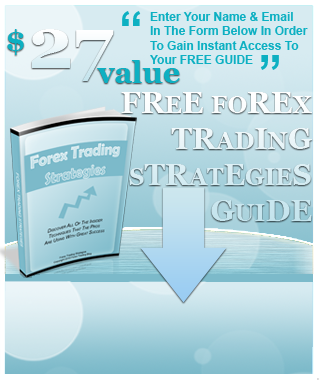 The design of your forex trading strategy should be simple, and requires reasonable amount of input and work from you. Too complex a plan and you might lose sight of your own unique technique. Too much work will take its toll from you, clouding your judgment more.